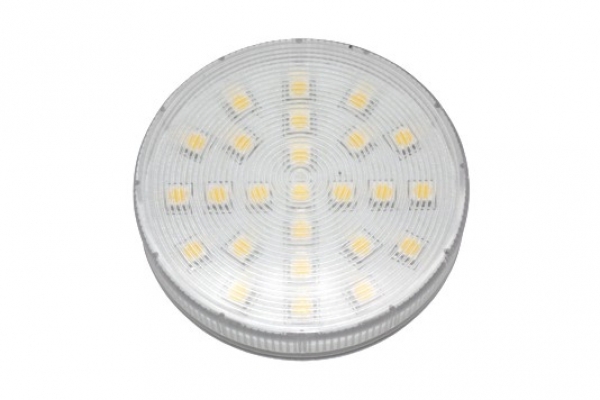 LED GX53 equipped with 25x 5050 SMD LED Epistar. Lamp Strong as a 9W GX53 saving lamp with 350lm, at just 5W. Mean live period of the 35,000 hours. 2 years warranty. Ensure sufficient cooling, do not mount near heat sources (max .45° C). Not dimmable.